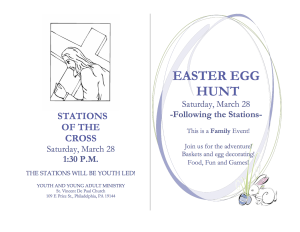 The Youth and Young Adult Ministry is leading a Stations of the Cross this coming Saturday 3/28 at 1:30pm. 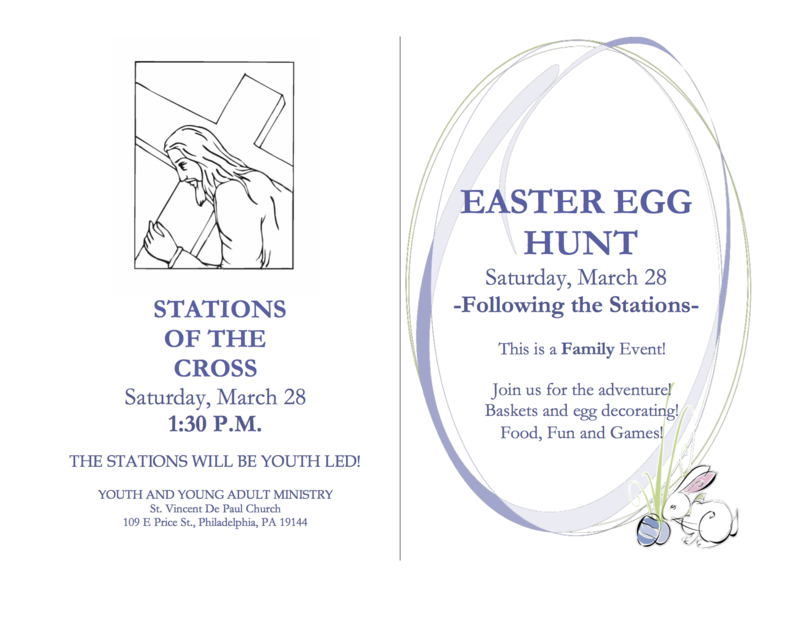 Following the Stations, there is an Easter Egg Hunt. Bring your family and enjoy the fun! Baskets, egg decorating, food, fun, games, and more!